Washington Square Press, 9781476704418, 338pp. The screech of tires brought Hannah Scott's world as she knew it to a devastating end. A year after she signed the papers to donate her daughter's organs, Hannah is still reeling with grief when she unexpectedly stumbles into the life of the Bell family, whose fifteen-year-old daughter, Maddie, survived only because Hannah's daughter had died. 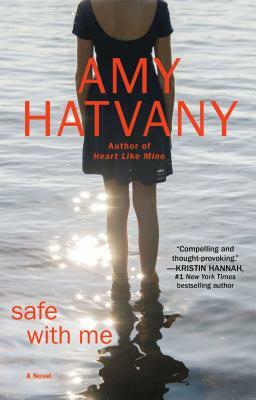 Mesmerized by this fragile connection to her own daughter and afraid to reveal who she actually is, Hannah develops a surprising friendship with Maddie's mother, Olivia. The Bells, however, have problems of their own. Once on the verge of leaving her wealthy but abusive husband, Olivia now finds herself bound to him in the wake of the transplant that saved their daughter's life. Meanwhile, Maddie, tired of the limits her poor health puts upon her and fearful of her father's increasing rage, regularly escapes into the one place where she can be anyone she wants: the Internet. But when she is finally healthy enough to return to school, the real world proves to be just as complicated as the isolated bubble she had been so eager to escape.